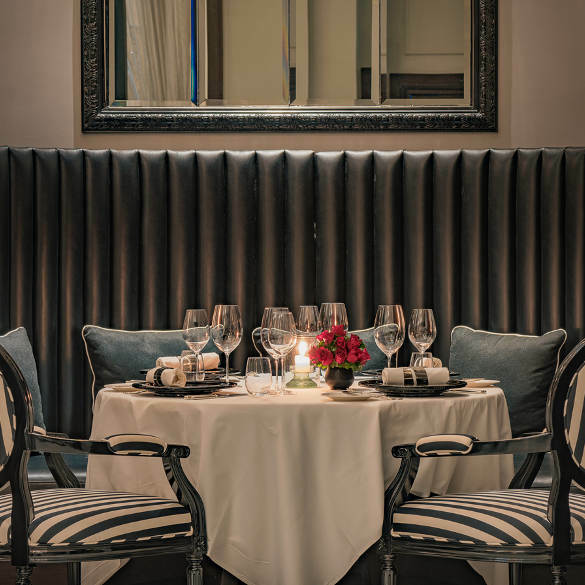 The Strand Hotel offers guests a variety of dining experiences, whether you join us for a sumptuous breakfast, a light lunch or even our renowned Strand High tea, our selection will definitely tempt your taste buds. A range of dishes are on offer, and our selection ranges from traditional Myanmar food, handmade pastries to a fine dining experience guided by our Executive Chef’s numerous travels around Myanmar, sourcing ingredients and recipes that have been used for centuries. 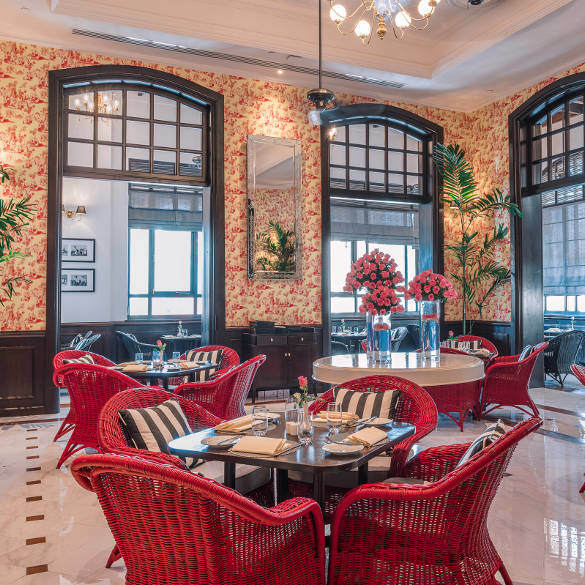 Escape the bustle of Yangon, and enjoy a sumptuous breakfast, a light meal or the Strand High tea, a long-standing tradition that harks back to Myanmar’s Colonial past. Using only the freshest ingredients, sourced at grass roots level to maintain the authentic feel of what is on offer, The Strand Café has a variety of dining options available. Relax in a comfortable rattan armchair, under lacquer fans whirring from the high ceiling, cocooned in comfort and luxurious splendour. 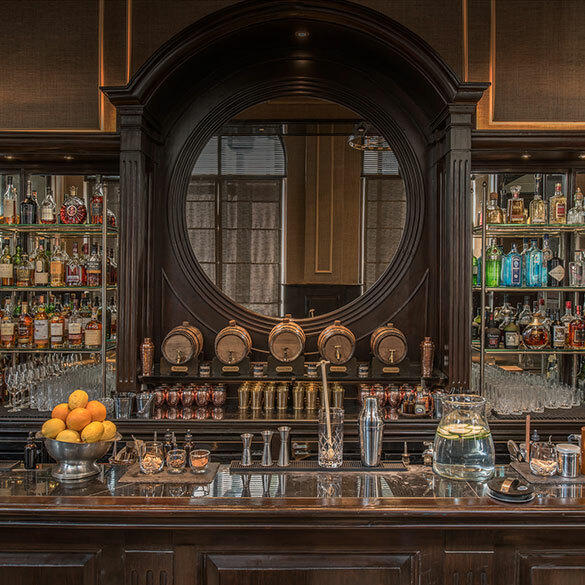 Sarkies bar has offered an escape from the bustle of Yangon for travellers, explorers and raconteurs alike for over a century, whether enjoying a sundowner, cocktails or a single malt from our extensive selection. This historic watering hole offers guests an oasis of calm, with its teak-panelled interior and intimate setting, whatever the occasion.